Each year, the SEMA Show plays host to hundreds of automotive aftermarket manufacturers who bring some of the world's most extensively modified cars and trucks to Las Vegas, NV in hopes of standing out at the aftermarket industry's event of the year. The Mothers® Shine Award celebrates the finest examples of these vehicles in what has become one of the most coveted and prestigious achievements within the car builder community. The Shine Award judging panel spends days reviewing hundreds of exceptional vehicles as part of an exhaustive, detailed process. 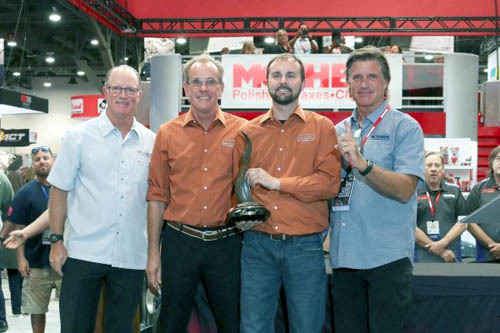 Once the final votes were tallied, the award ceremony was held at the Mothers® booth, hosted by aftermarket industry veteran and Shine Award judge, John Naderi. This year's decision was not an easy one, but after careful consideration, our judges awarded the 2018 Shine Award to "Nickelback," a 1967 Chevrolet Camaro SS, owned by Greg and Chris Allen of Selbyville, DE and built by Superior Auto Works of Frederica, DE. 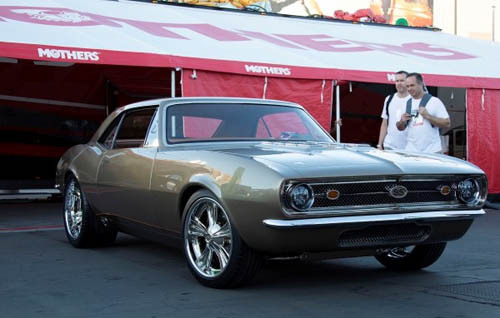 Greg's son Chris originally bought the Camaro in high school and drove it for two years before tearing it apart with a frame-off restoration in mind. After 12 years of collecting dust, Eddie Denkenberger II of Superior Auto Works was called-in to transform it into a true show car. The attention to detail is evident in this six and a half year build with flush-mounted trim throughout, custom CNC machined grille, floating turn signals, and a lengthened hood with custom ports, shortened valence and radiused corners. 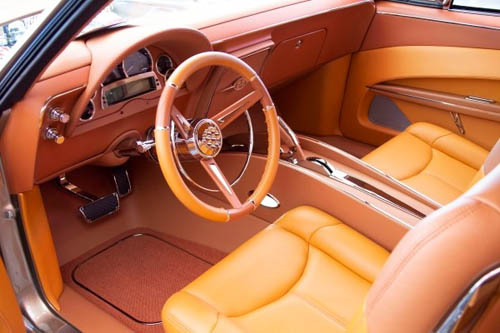 The trim is hand made, and Eddie sprayed the custom-mix PPG paint, a two-tone sandstone gold and lava rock with harvest gold pinstripe, to match the interior. 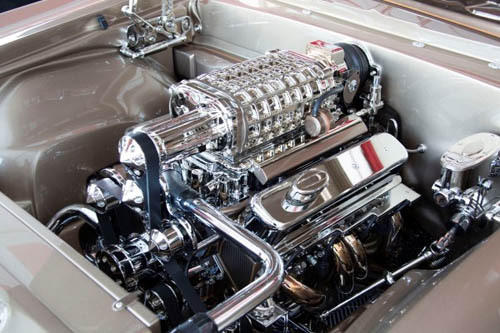 The Generation II small-block GM 355CI V8 is topped with a Magnuson TVS2300 supercharger, and the wheels are custom five-piece EVODs. The amount of chrome plating is staggering, requiring three separate companies to complete the work, including Advanced Plating, Paul's Chrome and Ogden Chrome. and Jim Holloway of Mothers®. 2018 marks the 18th annual edition of the Shine Award, which is open to each and every one of the hundreds of stunning cars on display at The SEMA Show -- the most anticipated aftermarket industry event of the year. An independent, international panel of respected members of the automotive world, including seasoned builders, paint specialists, journalists and previous Shine Award recipients, are tasked with selecting a winner. Judging is based on overall appearance, fit and finish, attention to detail, integration of custom and stock elements, creative vision and execution of concept. Entries are scored with the state-of-the-art eJudged application that calculates results in real time. The full history of the Mothers® Shine Award is available online at https://sable.madmimi.com/c/212886?id=344.55.1.6f00566f1adc7e524d7389aa1e071d00.